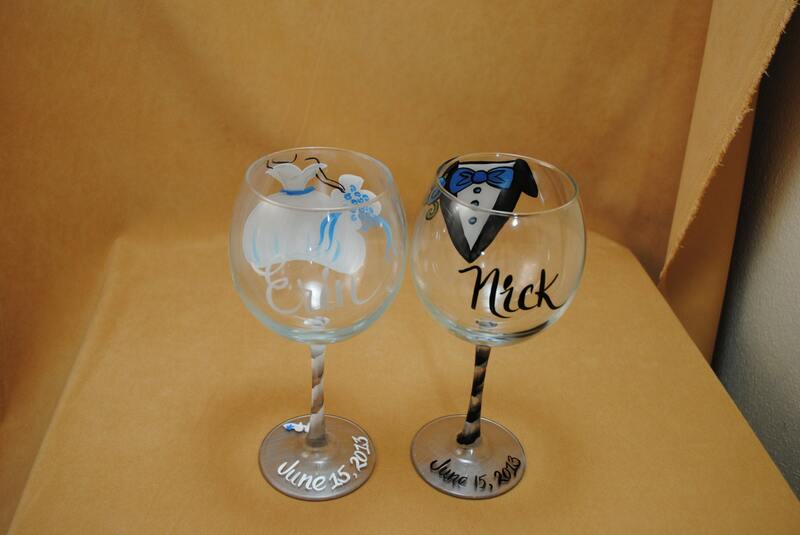 Personalized Hand Painted 18 1/2 oz Red Wine glasses for Bride and Groom. They have a Bridal Gown and Tuxedo. 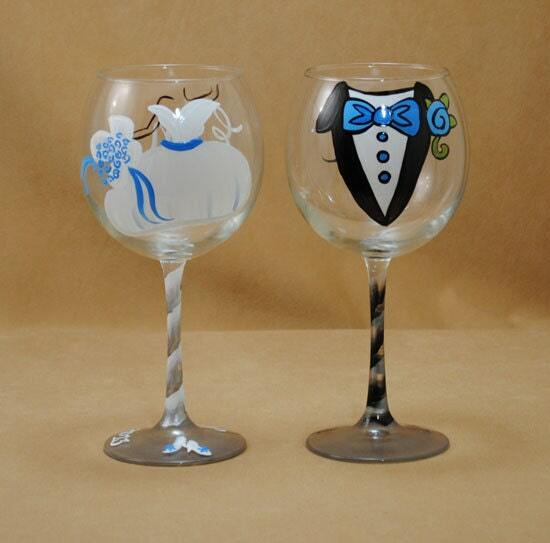 Can be personalized with your coice of color for accents and names and dates at no extra cost.